All custom cabinets created by Vincent construction are built with pride. We know how important cabinets can be in your life, especially those used daily. You will find our commitment to your satisfaction in the design, construction and installation of custom cabinets above and beyond your expectations. After all, happy customers are our best advertisement. Let us help you with your kitchen remodeling project. 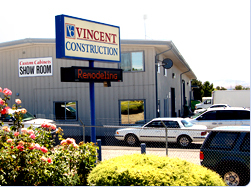 At Vincent Construction, we can handle any project, from a one room addition to a custom home built just for you. We offer complete design service from start to finish. Remodeling is the "Sweet Spot" of our business. Let us remodel your kitchen with our custom crafted cabinets. Consider us for an addition to your home or a complete bath remodel. 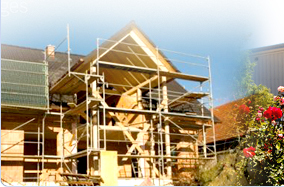 Our team of professionals work together to complete the project to your satisfaction.